I've officially entered panic mode. It may be 30 degrees in the sun and it may have snowed this morning and we may still have the whole month of February to get through.... but summer is almost here. I know summer is almost here because I got my 'it's time to get drug tested and background checked so you can go back to work' letter from the theme park where I've worked the past five summers. I have a very strong love/hate relationship with that letter. One one hand, I love the job. And by this point of not working all winter, I'm broke and could use the paycheck. On the other hand, with the hours I work, I have absolutely no life outside of work from March through November. And this year, the park is adding a Christmas/winter thing so the season will last through January. I'm just not mentally ready to get dressed and leave the house every day instead of staying home to binge watch Netflix while I knit and read. Anyway, I'm in panic mode. I have an awful lot of things I need to/want to accomplish before the park takes over my life again. Luckily, I'm able to check a few things off the list already. I finished knitting the fingerless gloves mentioned last week. They are knit with Hawthorne from Knit Picks in the Poseidon colorway. Hawthorne is probably one of my top five favorite yarns. The colors are to die for, it has good stitch definition, it's affordable, it's washable, and did I mention the how gorgeous the colors are? Anyway, Poseidon gloves are done. I've even listed them on Ravelry. 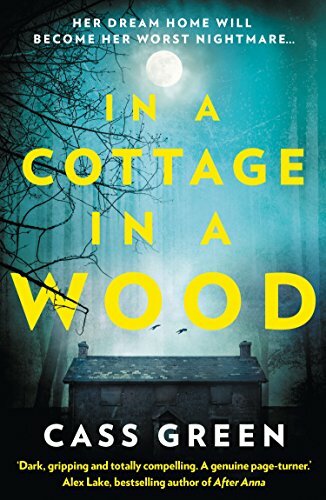 I also finished reading In a Cottage in a Wood by Cass Green. I really, really enjoyed this book. The epilogue chapter was a little weak, but the rest of the book had me holding my breathe and sitting on the edge of my seat. And while I saw a lot of different endings coming, I would never have guessed it would turn out the way it did. 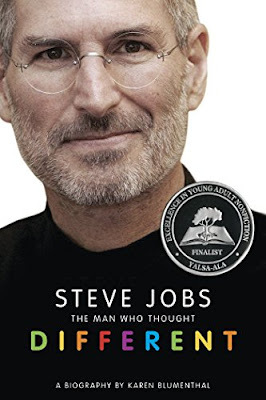 I also finished reading a Steve Jobs biography. I realize I'm about five years behind everyone else on reading this one but.... I've wanted to read it since it came out but wasn't sure I'd enjoy it, or even actually read it. I wasn't sure I, a total computer challenged individual, would enjoy reading about a computer nerd. But recently, I found a copy at the local used book store that cost less than a gas station cup of coffee so I grabbed it. And I'm glad I did. This was another enjoyable and interesting read. Join me for today's #Unraveled link up. sounds like feast or famine with those working hours. I would love the money but hate that it takes away from crafting time. I babysit twice a week on average for about 10 hours. I like that I can still do my stuff if I want. I do not have to sit during the summer so I do get a teeny break. It's such a strange job. We work a full year's worth of hours in a little less than 7 months. It's a crazy schedule but after a few weeks, you can't even remember what normal life was like. I do miss having time for summer activities, but I also love having the winter off. Exactly! And wow! Bookkeeping - I bet you are busy this time of year! Hard to fathom that summer's so close...yet today, it feels like it'll never arrive. I hope you have a few more weeks - a month ? - to enjoy before your "daily grind" begins in earnest! Your gloves are lovely and I'm adding In A Cottage Wood to my "to read" list. LOL, I guess my "summer" job is really a spring through fall job. :) Hope you enjoy the book. I sure did. Thanks! I'm trying to cram as much stuff in as I can.